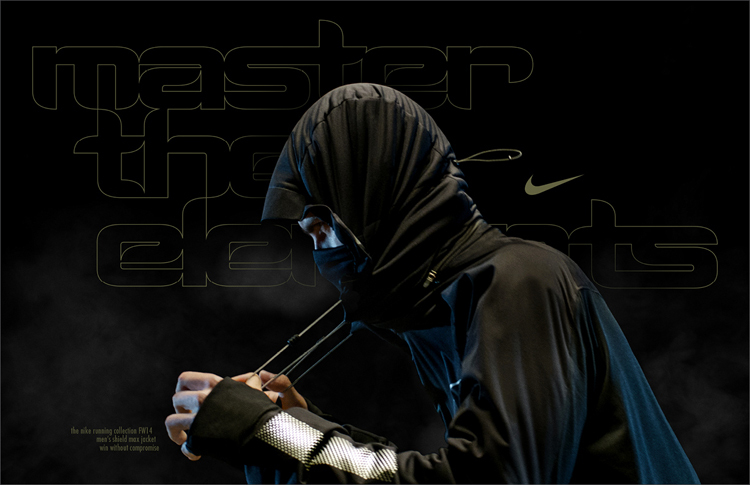 still frame from nike’s “master the elements” film created and produced by ceft and company new york. 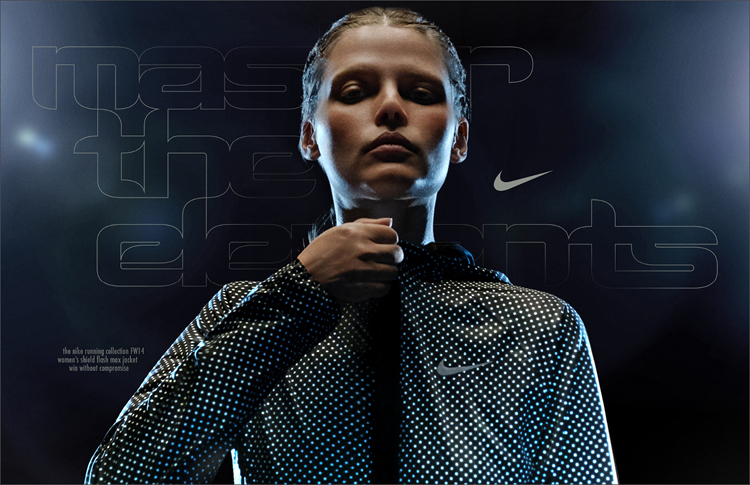 women’s rain runner jacket / women’s shield tight / women’s free 5.0 flash sneaker. 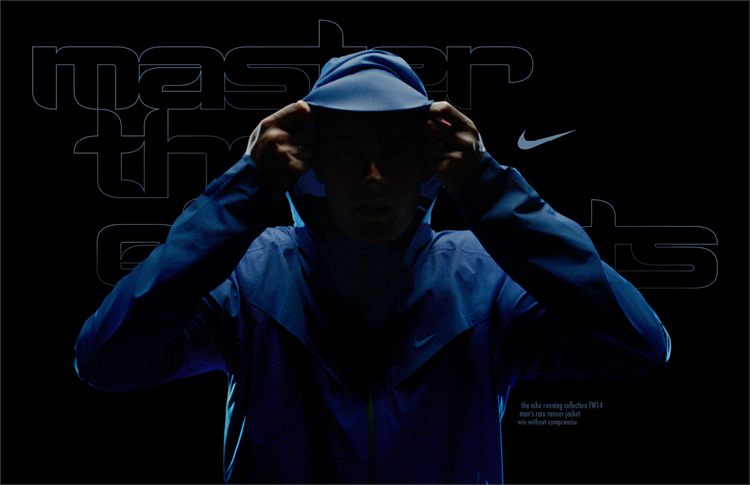 for this winter holiday, nike introduces their latest running gear suitable for all conditions. the apparel utilizes heat dispersion technology as well impressive reflective qualities that insure runner visibility and safety in the dark. 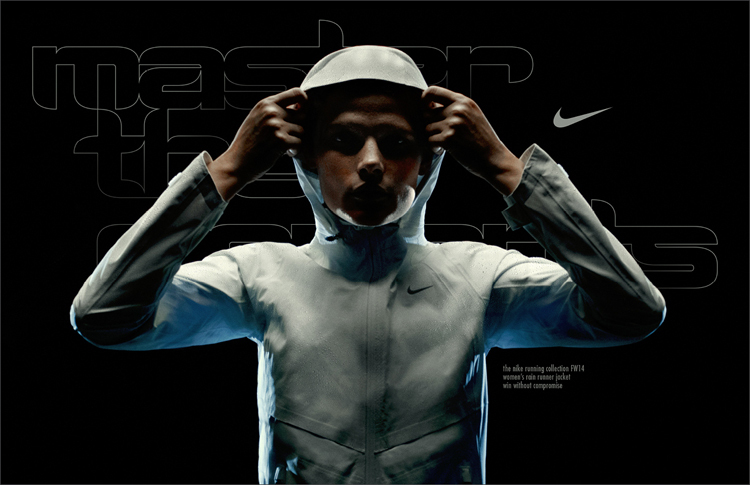 the outer shells are of course rain and snow proof and yet deliver superior breath-ability. 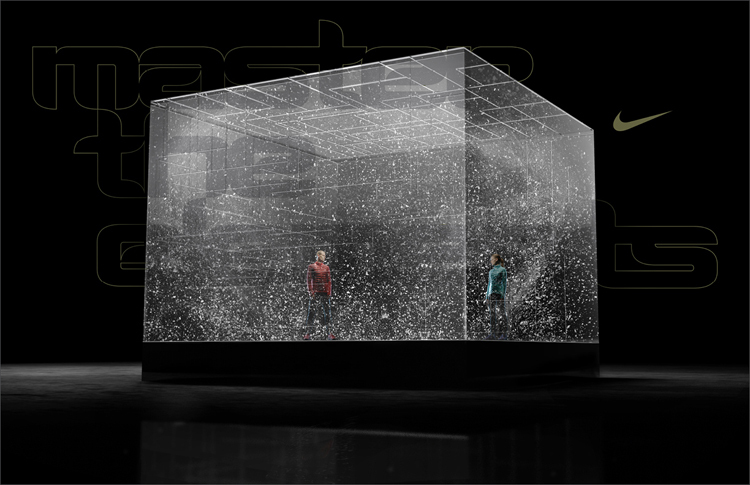 ceft and company new york collaborated with nike portland in the ideation, creation and the production of a series of still images as well as a magical film, loaded with special effects for their “win in any condition” campaign. view all work related to this project.